Once political opponents in the 1988 Republican presidential primary season, the two men maintained a decades-old friendship. I come from a military family. The respect here is palpable. 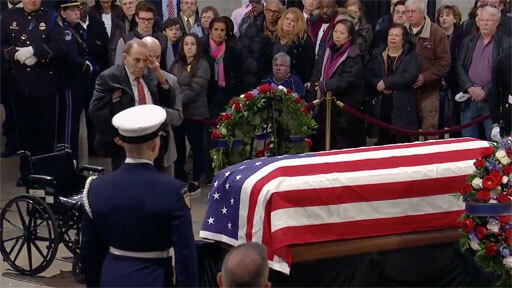 And with a devotion that is equally moving, Bush's service dog, Sully, was brought to the rotunda to pay his master last respects. Labels: Bob Dole, George H. W. Bush.